Pep Guardiola accepts that Manchester City will probably have to win their last five Premier League games if they are going to lift the title again. Last season's champions beat Crystal Palace 3-1 at Selhurst Park on Sunday but Liverpool returned to the top of the table later in the day by securing a 2-0 victory over Chelsea. City are two points behind Liverpool but have a game in hand on Jurgen Klopp's team. Liverpool are currently available at 2.10 to win the Premier League title while Manchester City can be backed at 1.72. City appear to have a harder run-in as they still have to play Tottenham and Manchester United while they also face Spurs on Wednesday in the Champions League when a place in the semi-finals will be up for grabs. Guardiola's team are 1.61 to qualify for the last four after losing last week's first leg 1-0. 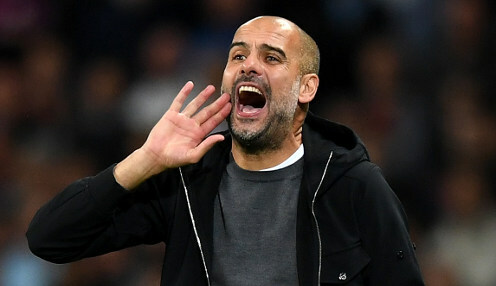 Former Barcelona and Bayern Munich boss Guardiola said: "We think Liverpool are going to win all their games but the Premier League position is in our hands. "We have to win every game if we want to make back-to-back titles. We know that and the players have shown they want to do it and I didn't have any doubts about that." Raheem Sterling scored twice against Palace before Gabriel Jesus added a late third goal to leave Guardiola purring. He said after the victory at Selhurst Park: "I'm so pleased. The amount of games we have had - Brighton (in the semi-finals of the FA Cup), and three days later the Champions League, and now here, and the way we played for 75 or 80 minutes was really good. "In two seasons we've got 83 points with five games left. Incredible numbers and it shows how consistent we are."